Sorry for the late notice on this, but Patch 277 is going live in a few hours. This was due to the timing of the holidays and availability to push updates. Patch will be going LIVE at 5PM Pacific 8PM EST / 12AM UK, 1AM EU. In future, we'll be refining our processes for communications and server updates. Changelog is below. Thanks all for supporting NS2 with running your servers. Fixed bug that caused the game to iterate over the level lights every frame. Fixed chat text wrapping breaking up words sometimes instead of inserting line breaks between words. Fixed scoreboard spacing between team columns being wrong on some resolutions. Added in the missing no_evolve texture for use in maps. Rotate 90 Degrees - Nobody knows what this mysterious button does. Angle From Longest Edge - Aligns the texture’s horizontal axis with the face’s longest edge. Angle From Shortest Edge - Aligns the texture’s horizontal axis with the face’s shortest edge. - Fixed a texture-lock bug, which would result in textures becoming misaligned even after very small movements. I emptied cache folder and workshop on my local machine. Maybe it's still in b276. What would be the procedure to force update ? Client disconnected (87.88.14.18) Your game files do not match the server's. 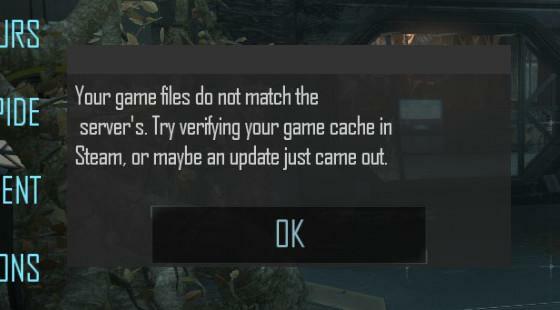 Try verifying your game cache in Steam, or maybe an update just came out. It would be nice to see the build version in the admin panel. plus some function like restart, show log etc. Guess its just our lu server then. im already poking the server host for a local update. update on our side is also fixed.